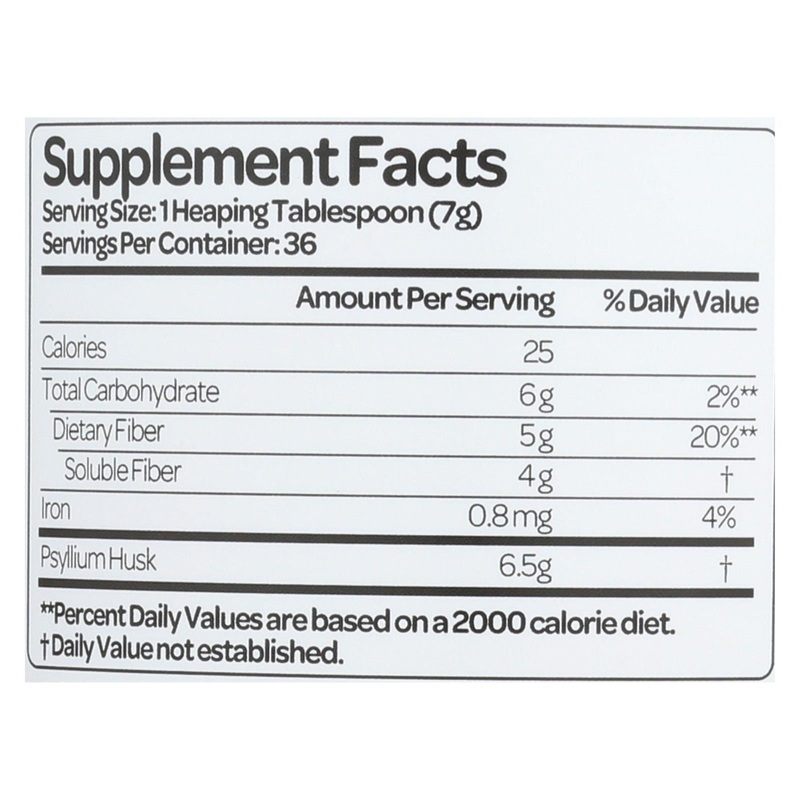 Contains 38 Servings Good for Your Heart Soluble fiber from foods such as Psyllium Husk, as a part of a diet low in saturated fat and cholesterol, may reduce the risk of heart disease. 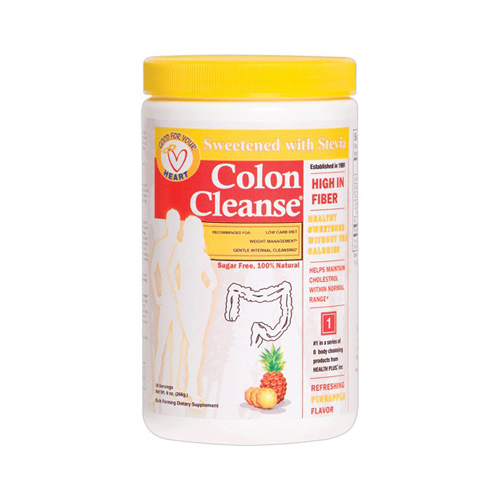 A serving of Colon Cleanse supplies 4 grams of the 7 grams of soluble fiber from Psyllium Husk necessary per day to have this effect. Stevia is a natural non-calorie sweetener. The extract used by Health Plus is approximately 350 times sweeter than table sugar; this means you use less of it. 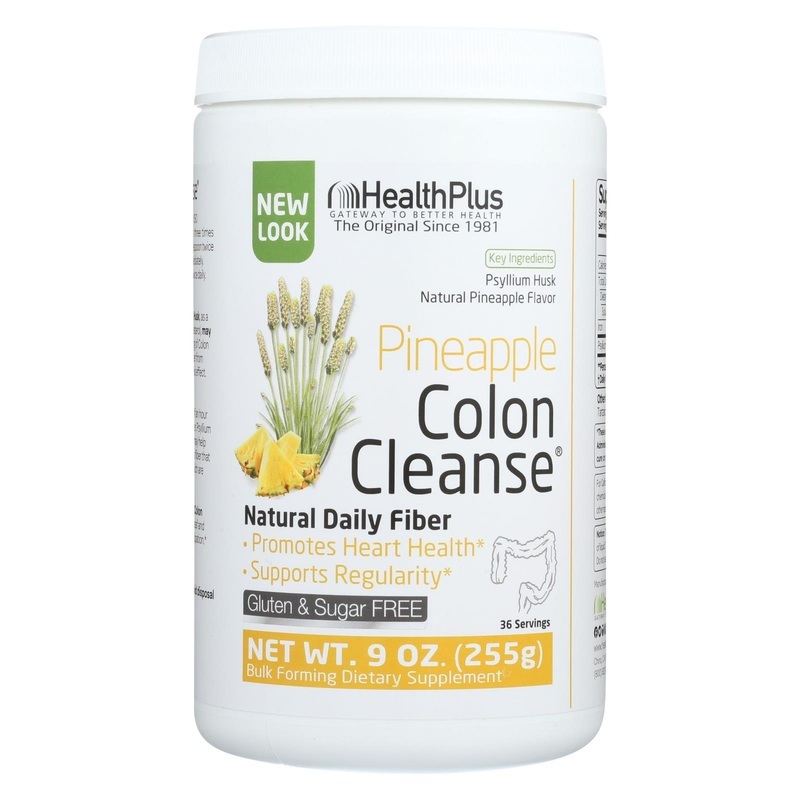 Pineapple Flavor, Citric Acid, Tartaric Acid, Stevia Leaf Extract. 7.18" x 3.58" x 3.58"